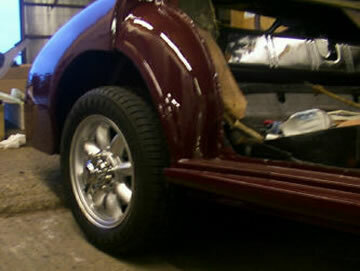 Our extensively equipped workshops can handle almost any job. 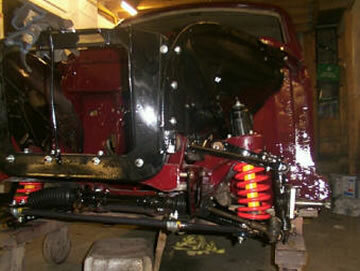 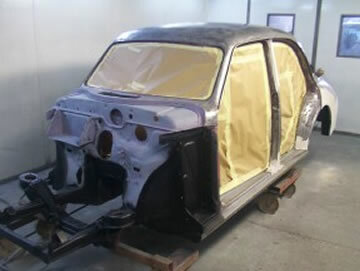 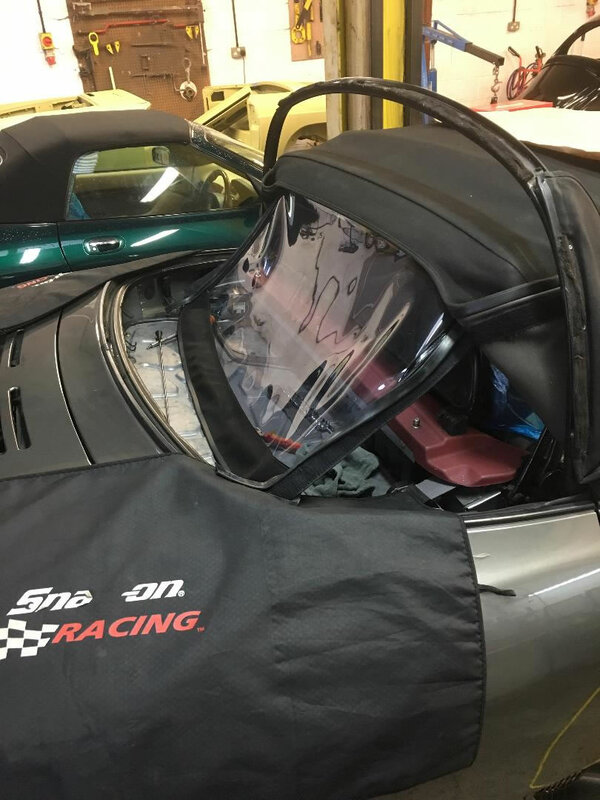 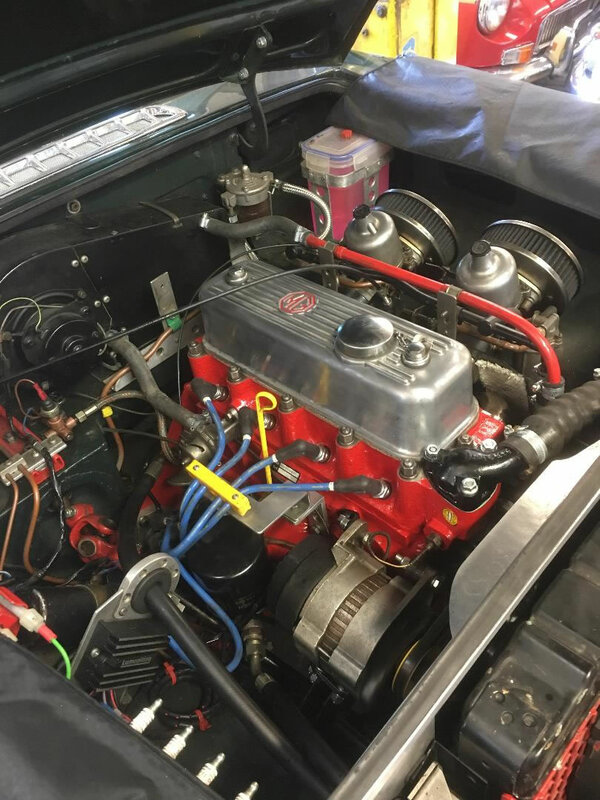 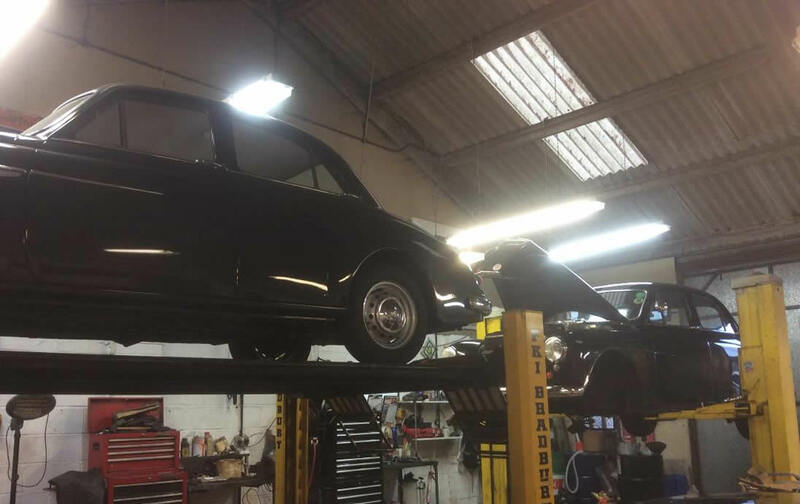 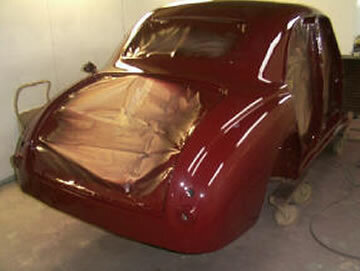 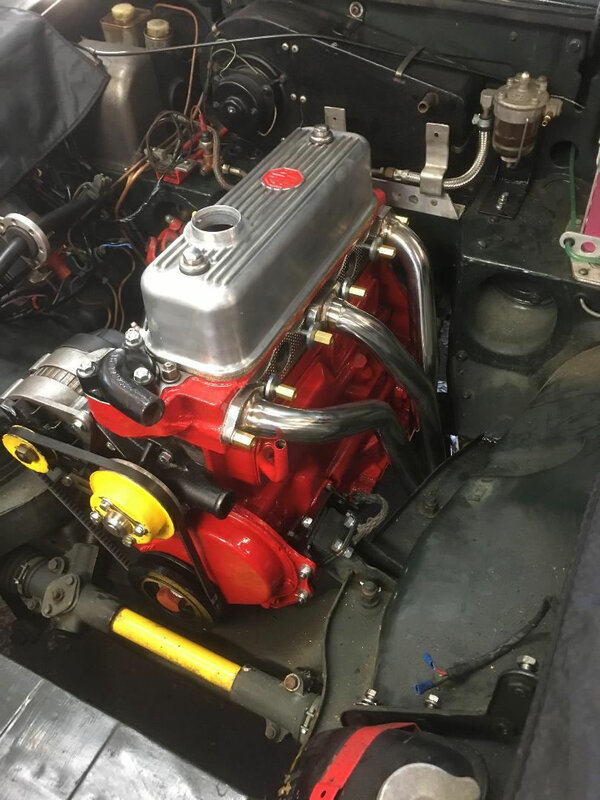 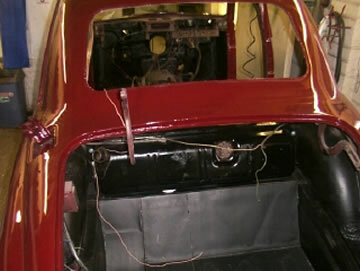 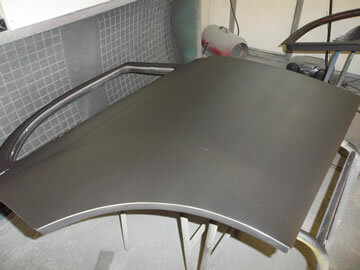 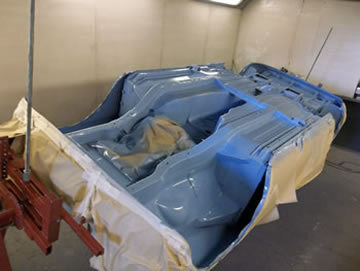 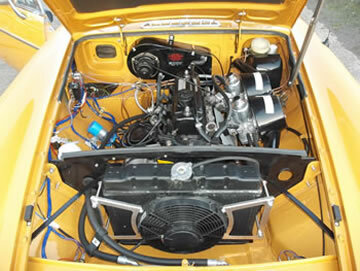 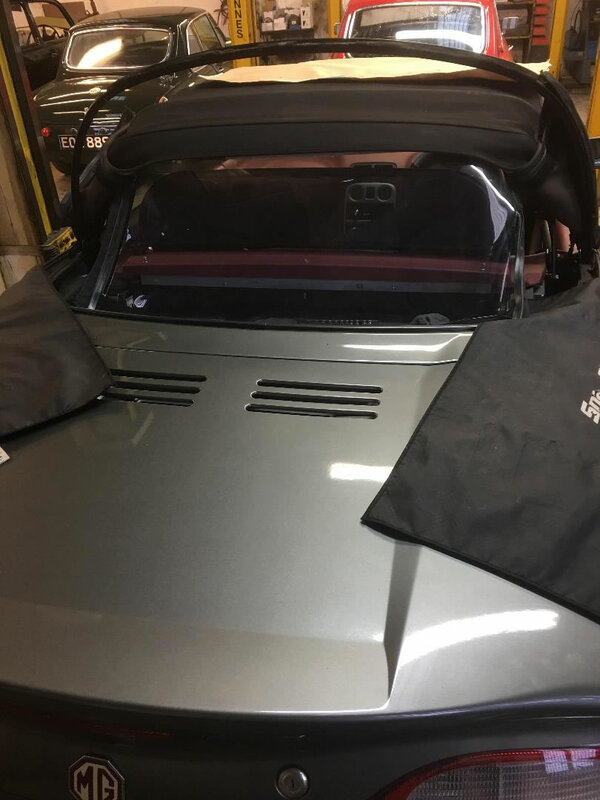 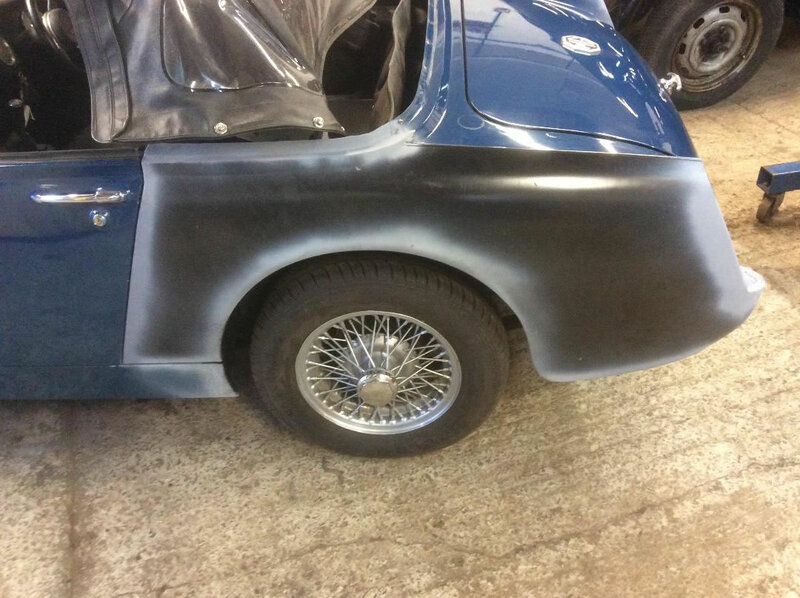 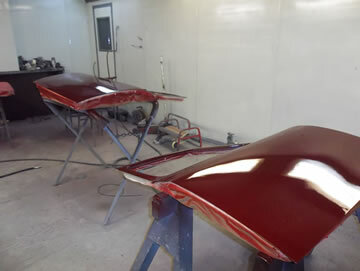 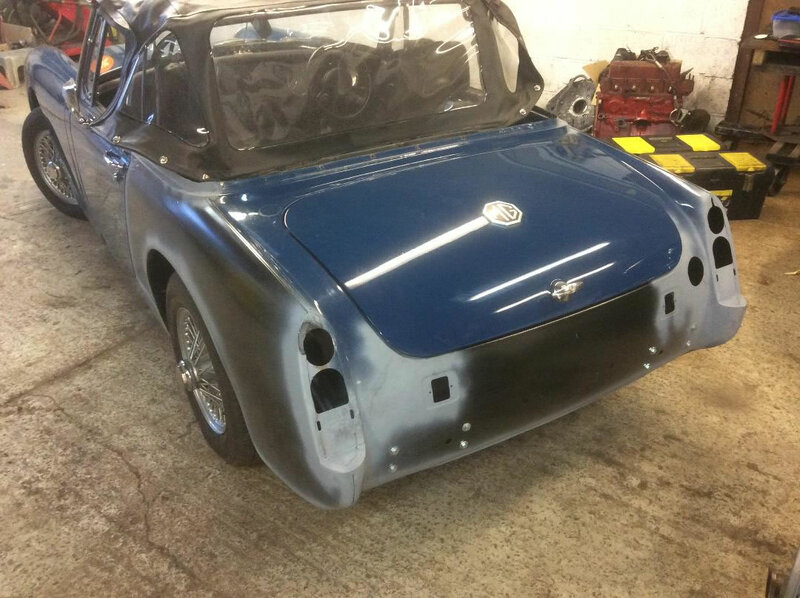 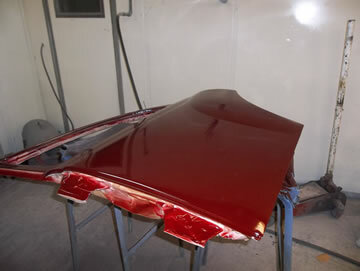 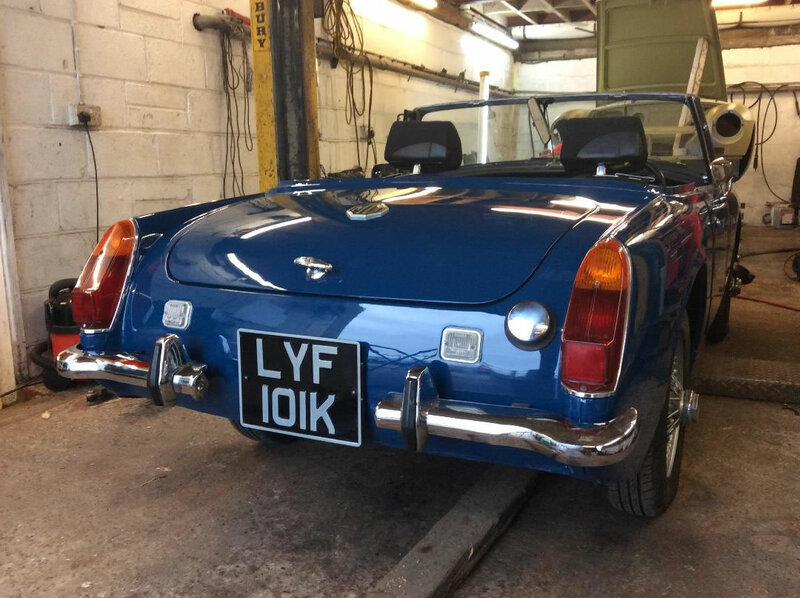 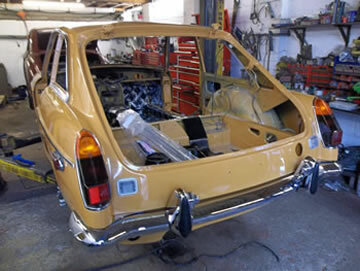 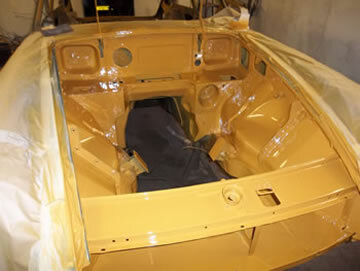 We can cover everything from a 3000 mile service to a new heritage body shell. 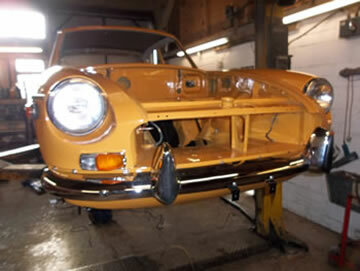 You are always welcome to come and visit us to have a look at our facilities and ongoing restoration projects. 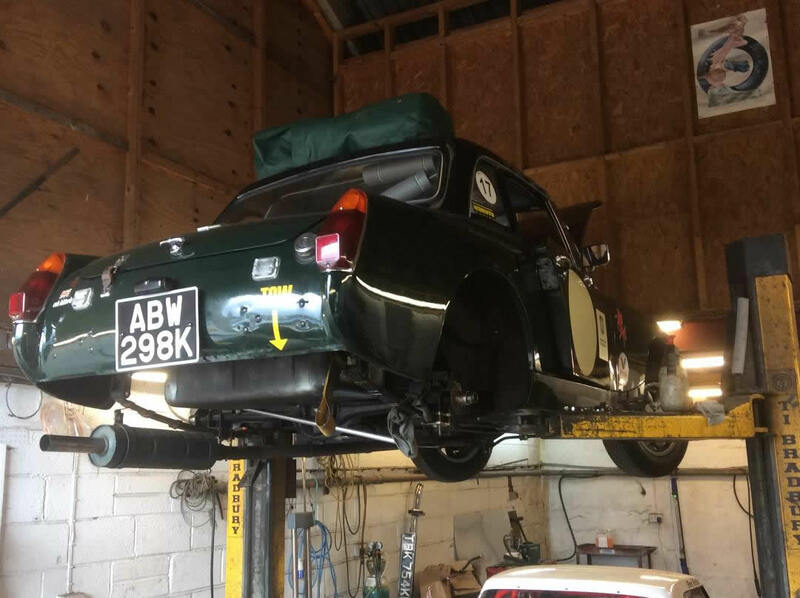 Our technicians are all classic car specialists and we are proud to achieved many awards, including the MG Owners Club 5 star spanner award. 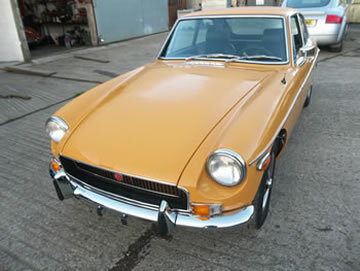 As we just do MGs our stores are well stocked and we carry a very comprehensive stock of MG Parts and Accessories. 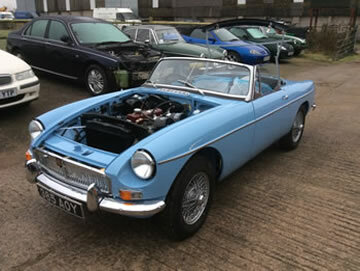 We are now MGOC Appointed/Approved POWER STEERING INSTALLERS for all their MG power steering kits. 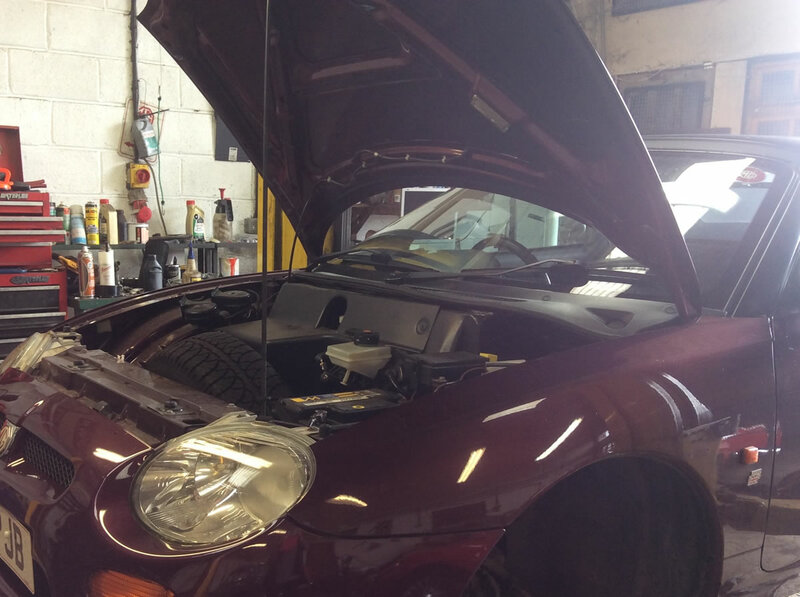 We also have at our premises T4 Diagnostic equipment to cater for MGF's, MG TF's, MG ZR /S/T's and equivalent Rovers. 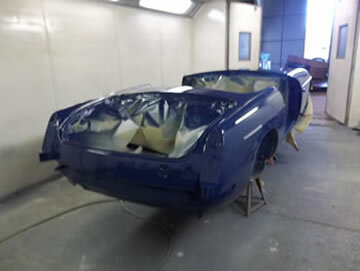 Here are some updates on the work going on in our workshops. 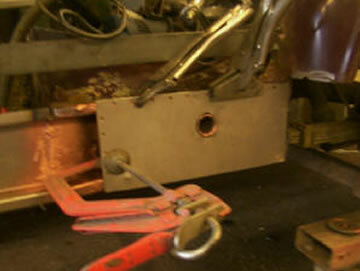 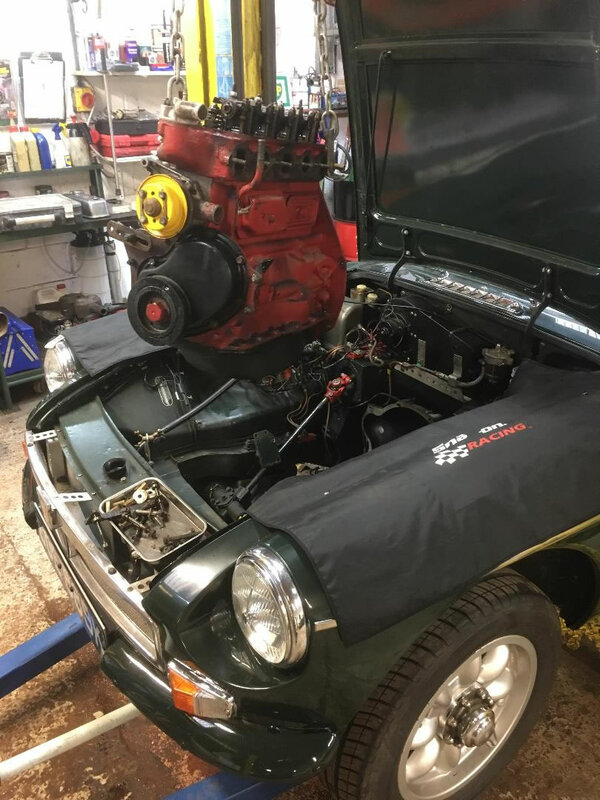 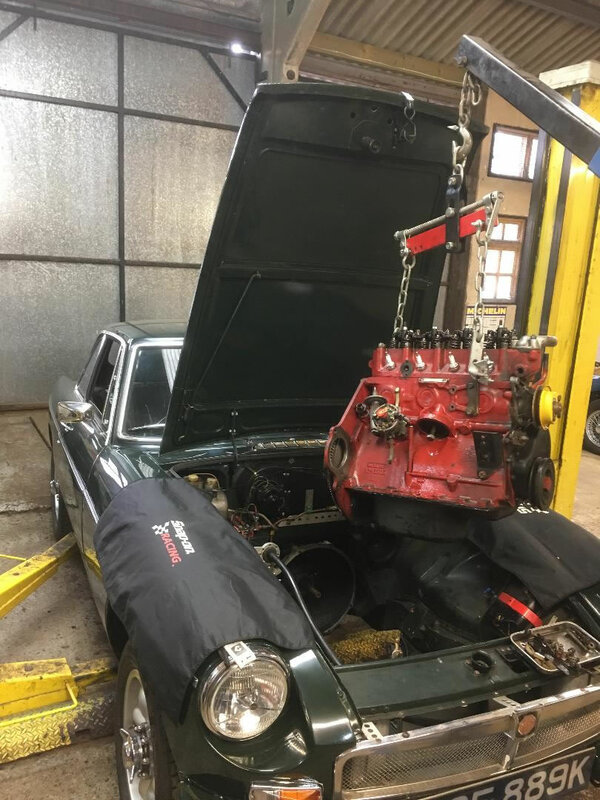 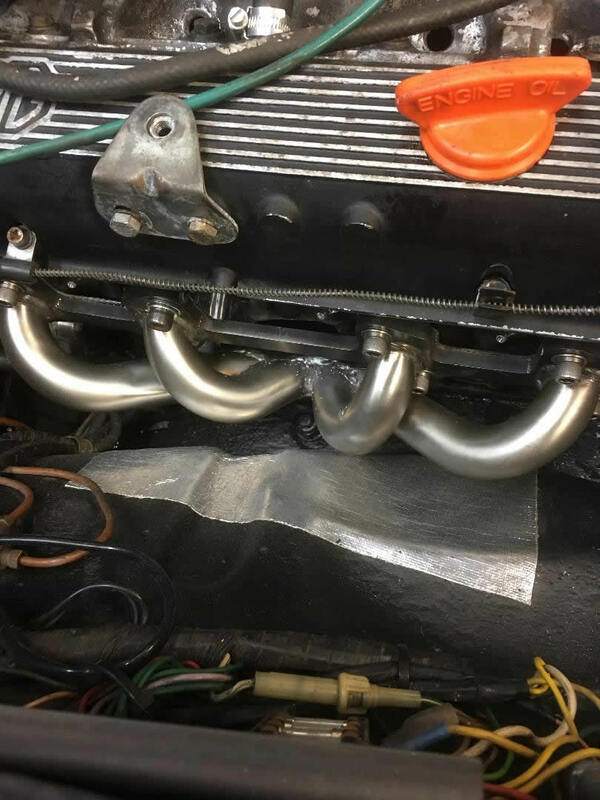 MGB having head converted for unleaded fuel. 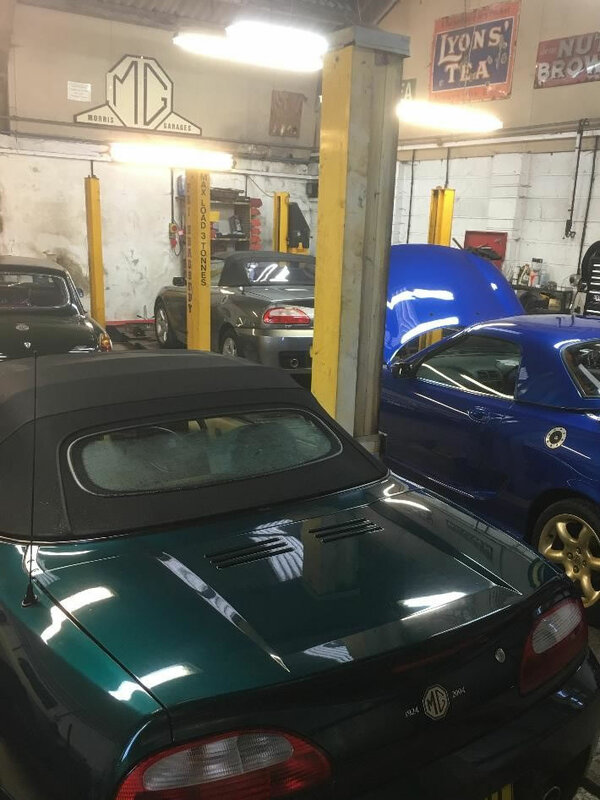 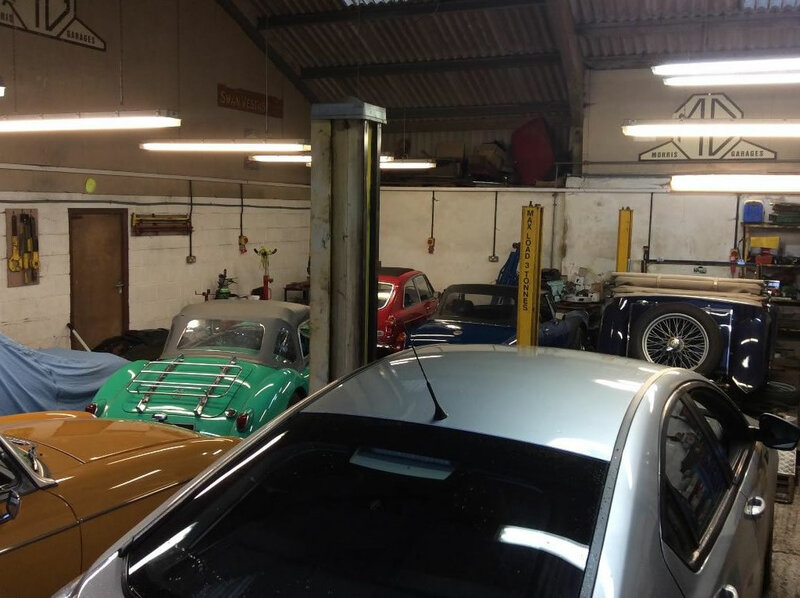 Nice collection in one of the workshops at the moment from a TA Tickford, MGB GT, MGB Roadster, MGA, MG Midget to a MG6. 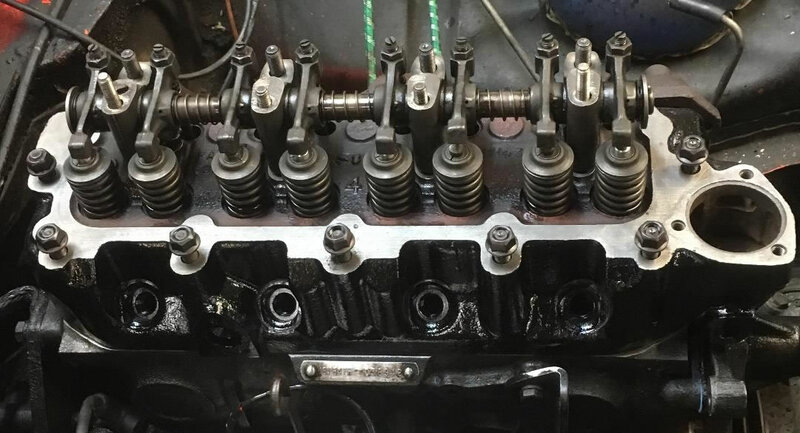 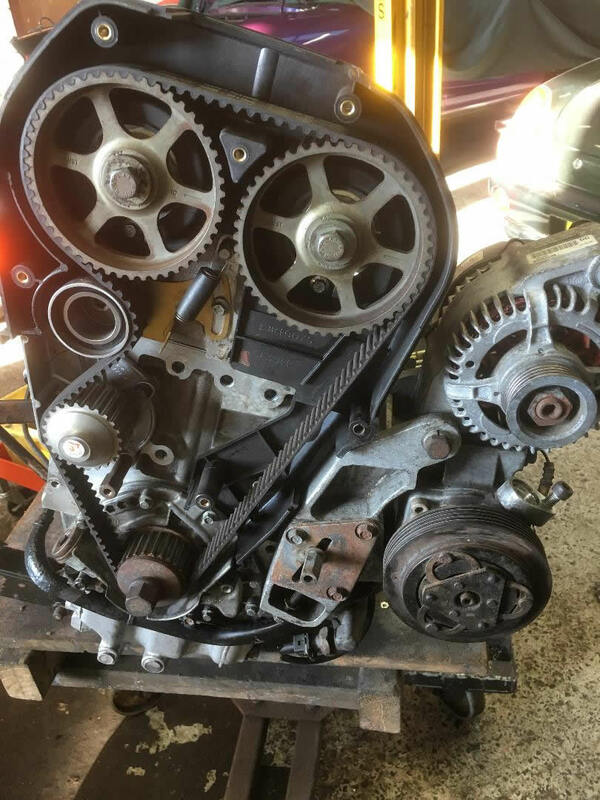 Customer's engine going back in. 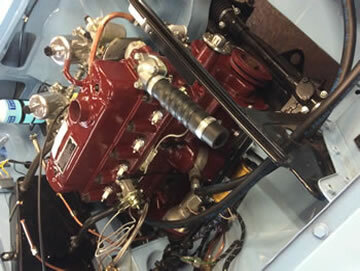 Engine now up and running. 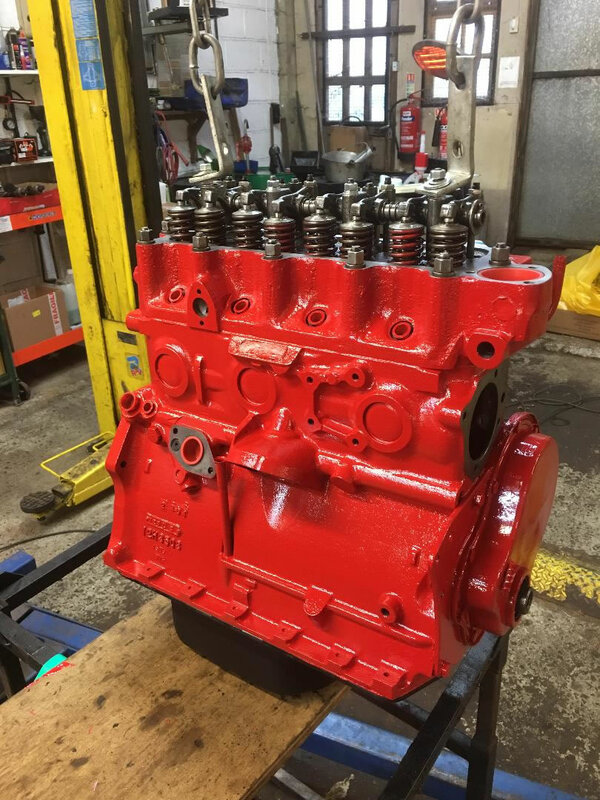 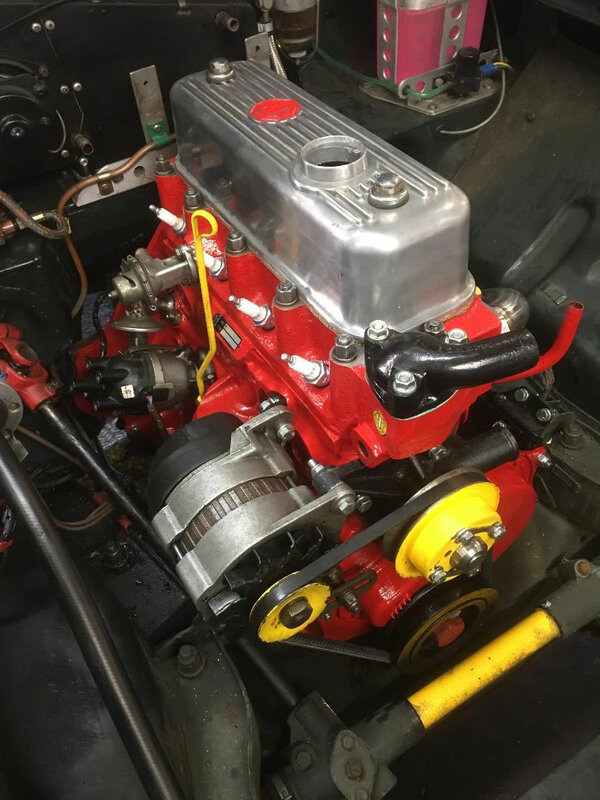 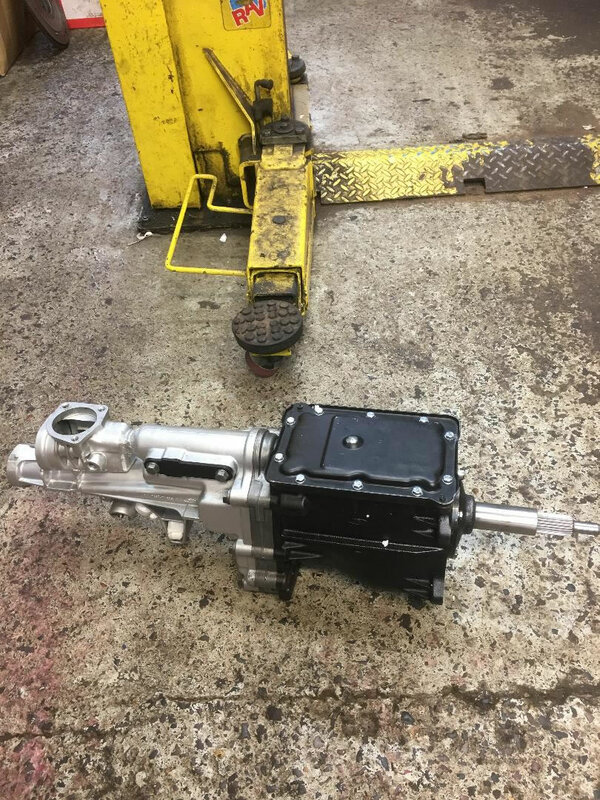 Customer's uprated engine painted to his spec. 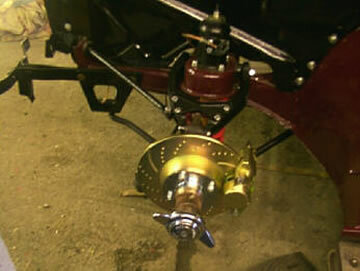 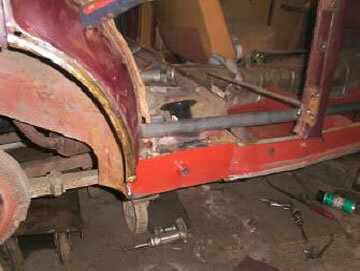 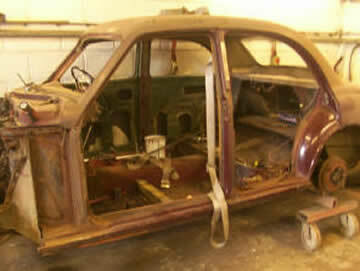 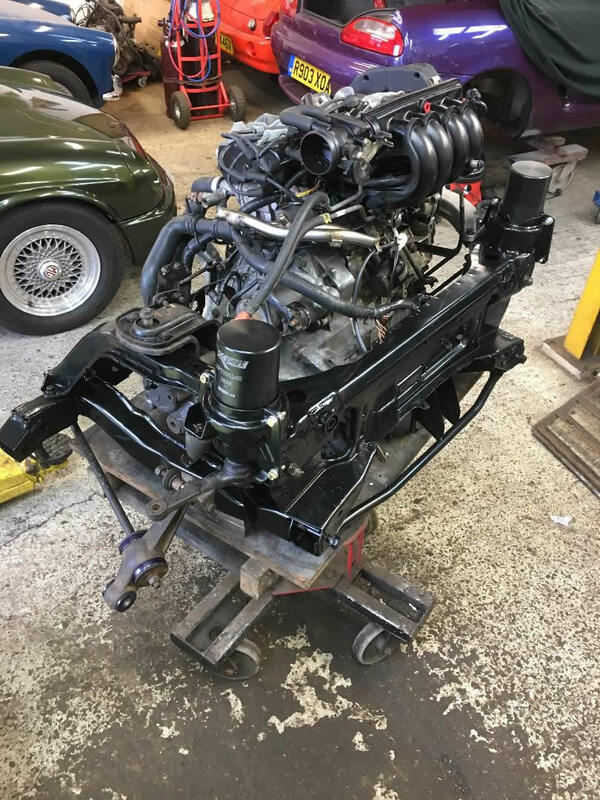 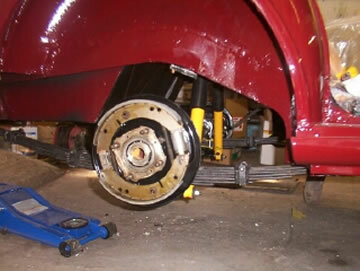 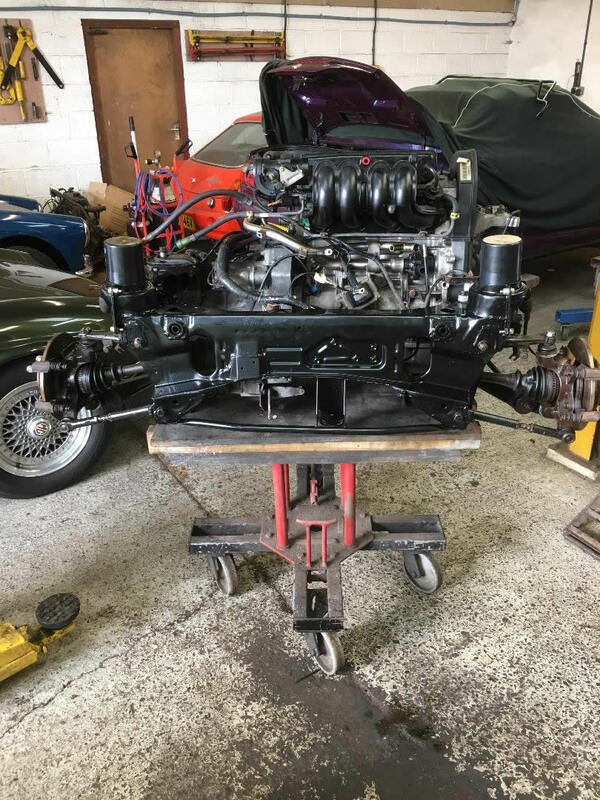 MG Midget 5 speed conversion taking place. 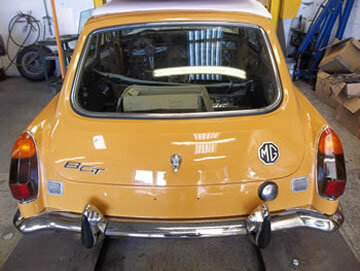 Work being carried out on some more modern MG's with a TF having a new rear window fitted. 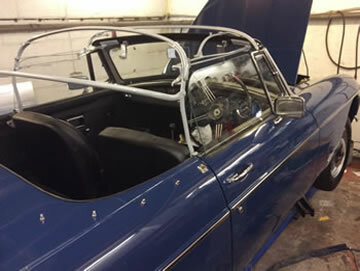 New clutch being fitted and headgasket being done on MG TF. 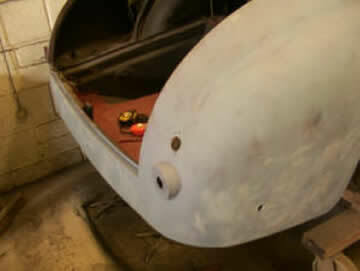 Spridget shell on rotisserie ready for work. 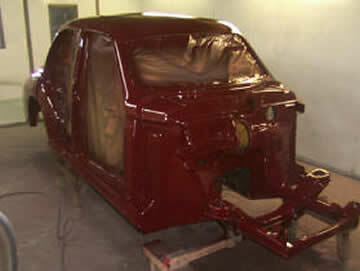 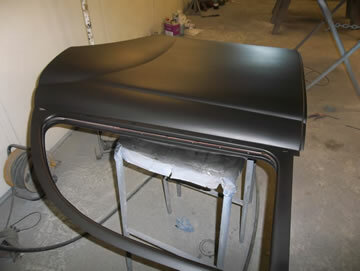 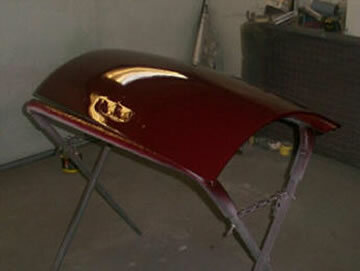 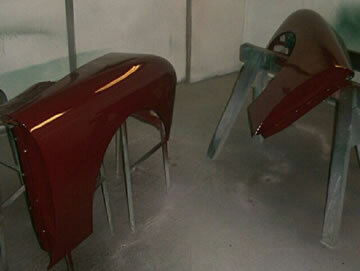 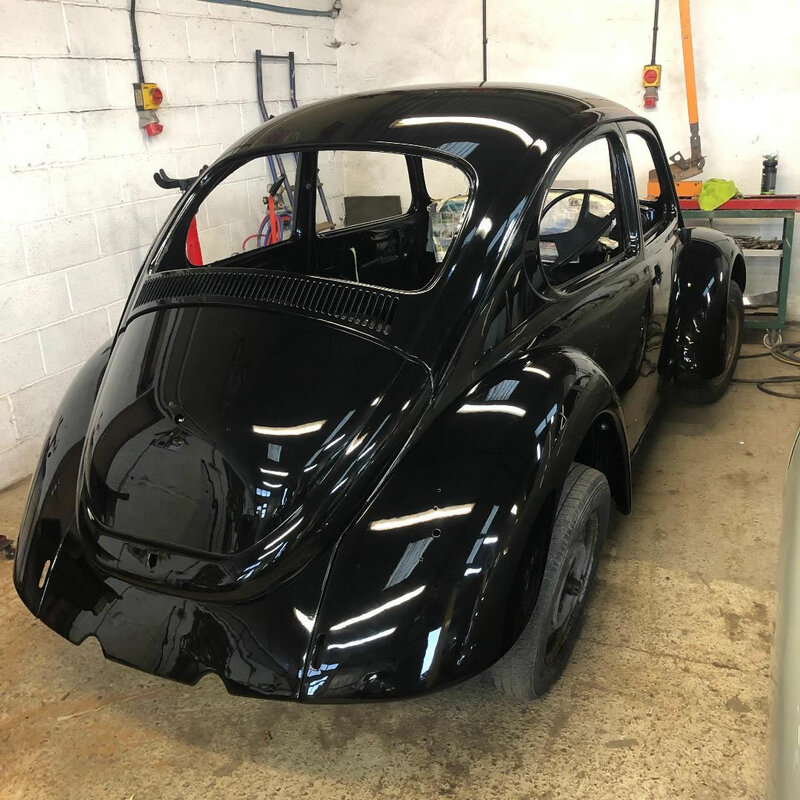 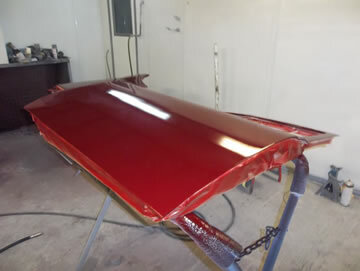 Just finished painting a VW Beetle and is now ready to go back to owner for re-assembling. 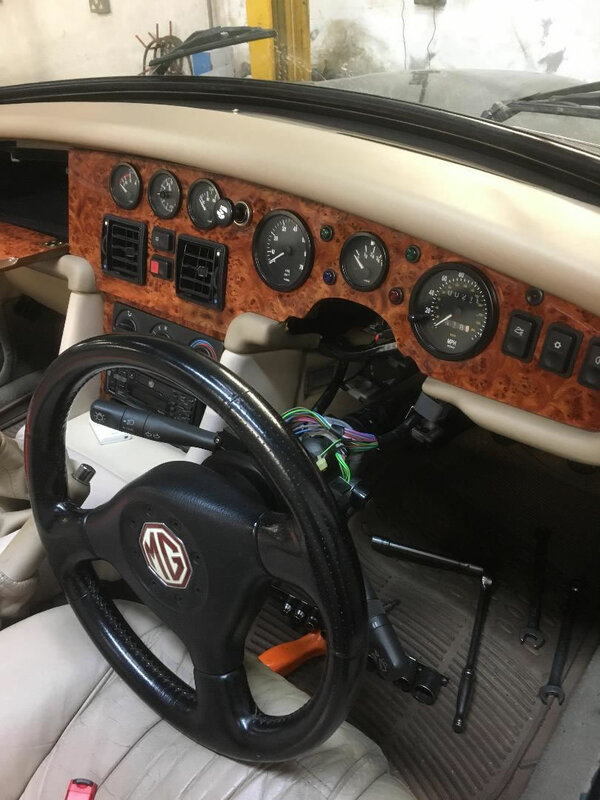 Gauge bulbs being sorted in the dash of a MG RV8, not the easiest things to get at. 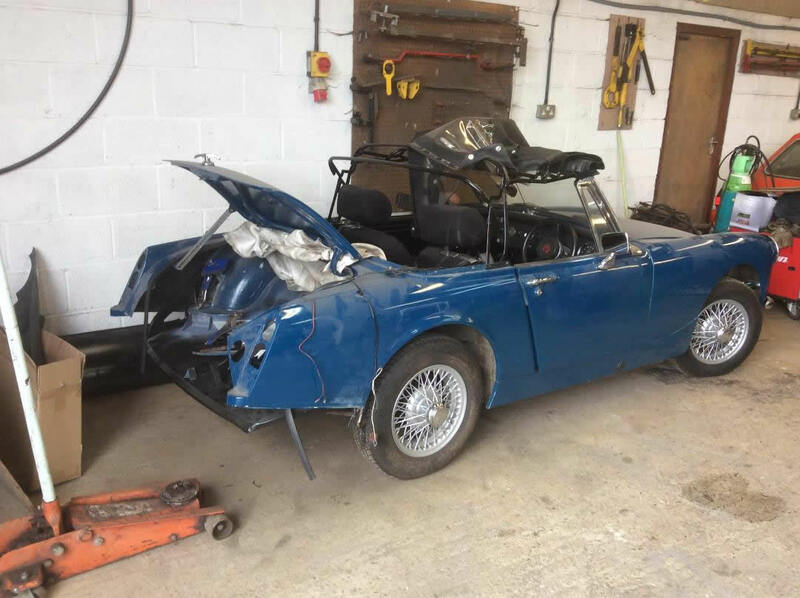 TR5 having some electrical problem sorted. 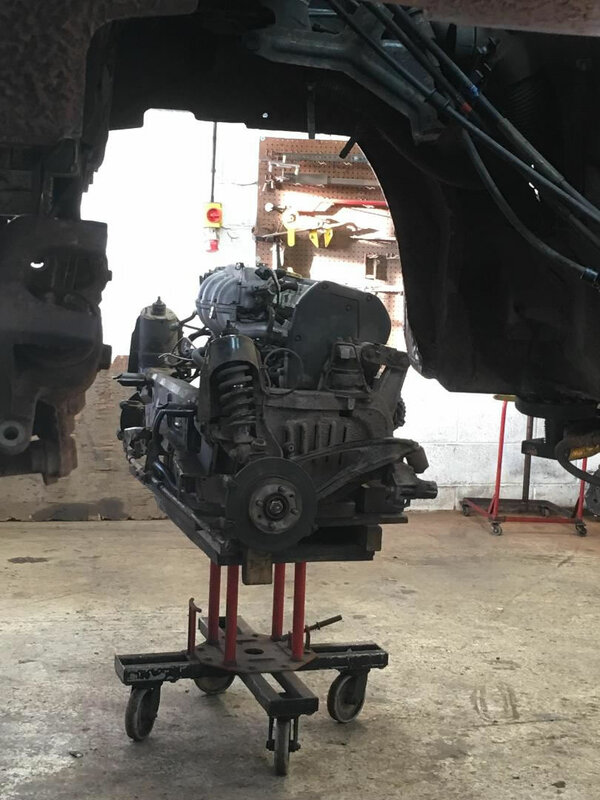 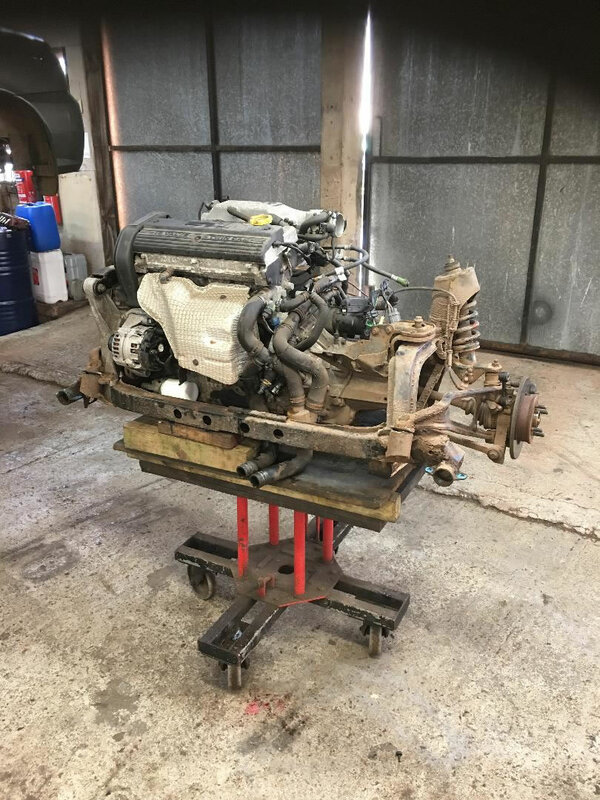 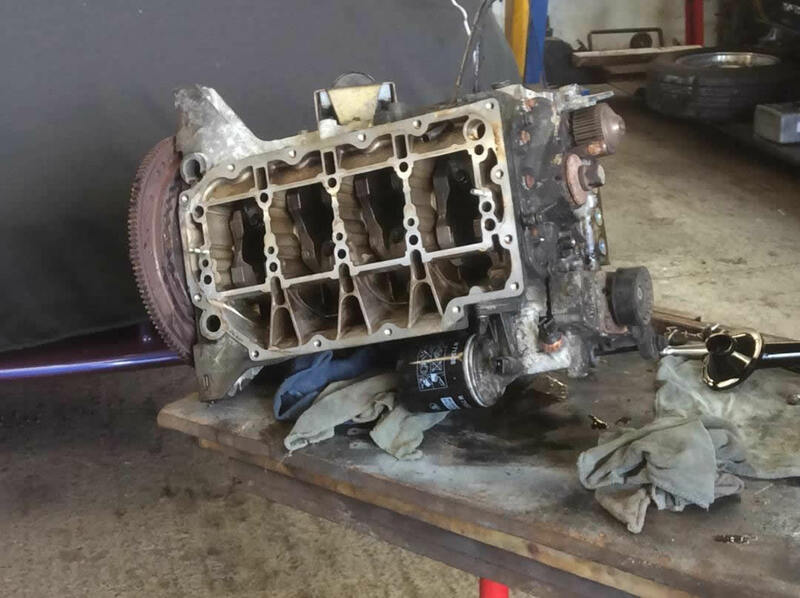 Customer's car having its old engine removed and shortly having a new uprated one fitted. 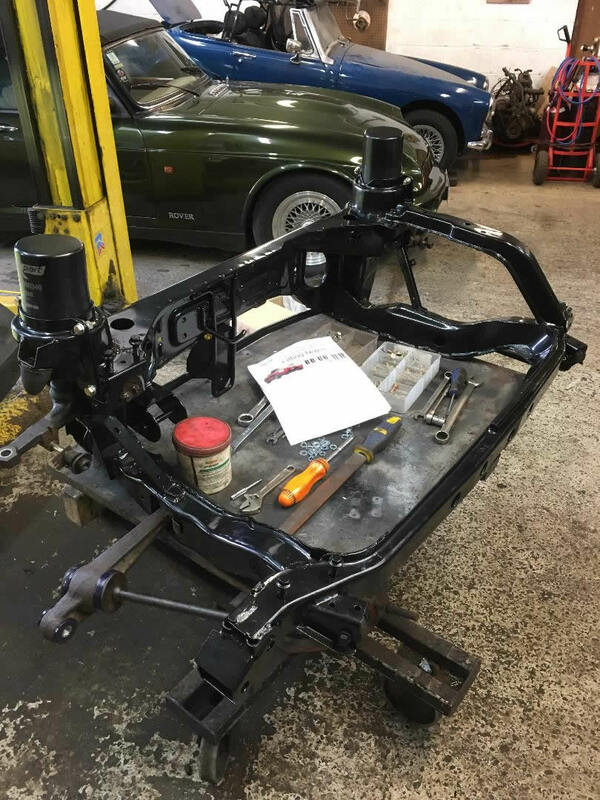 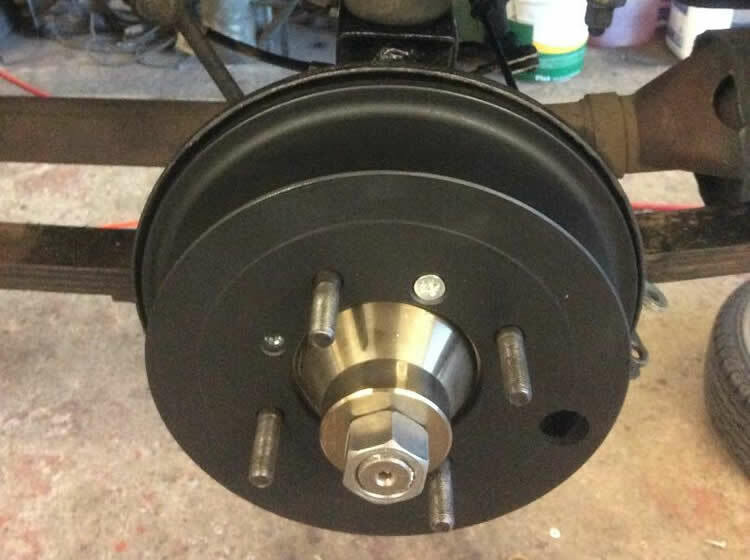 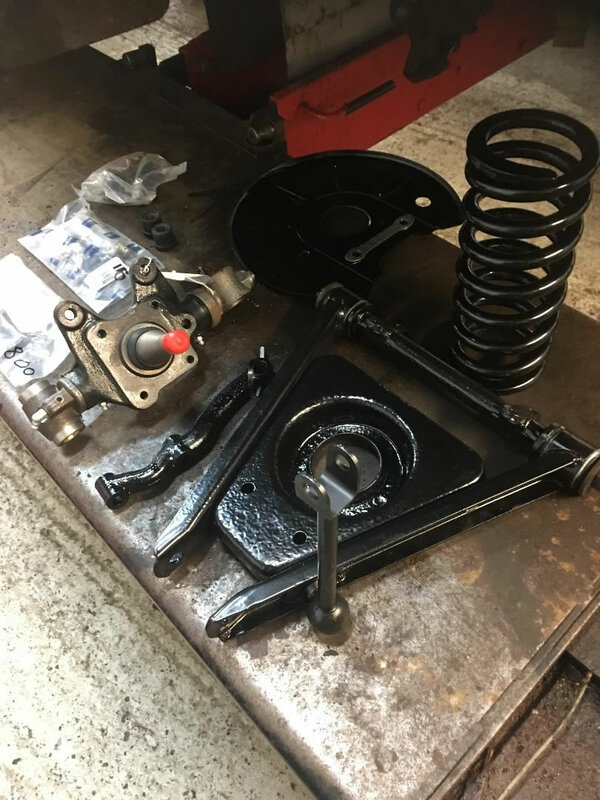 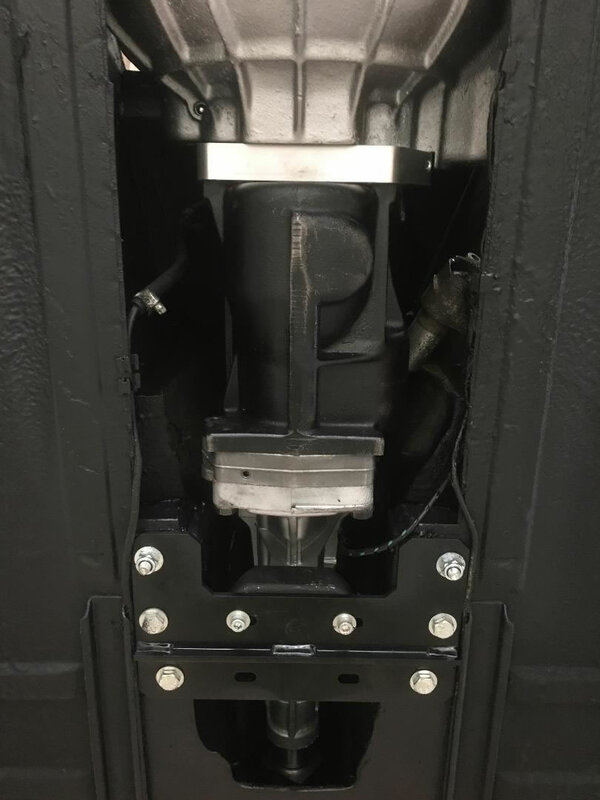 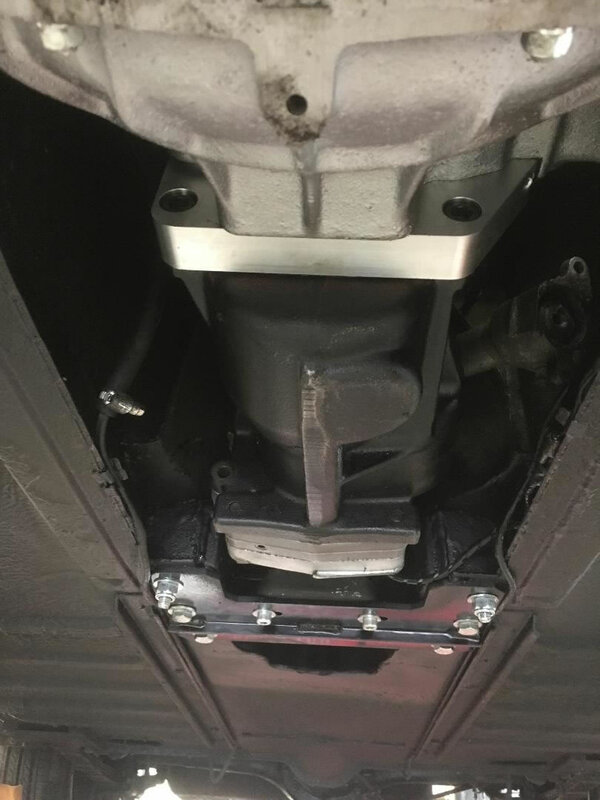 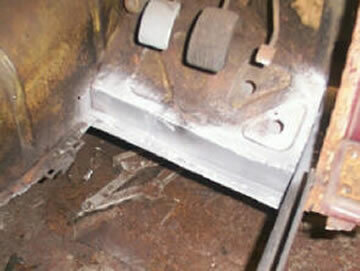 Here shows the sub frames on an MGF having been blasted and powder coated and then being re-fitted using a Suplex coil spring conversion. 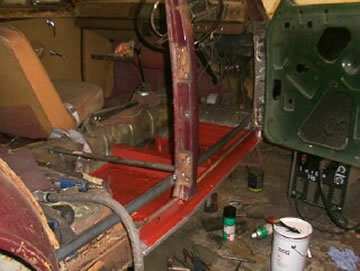 Below are some recent workshop pics, so nice to have so many variations to work on. 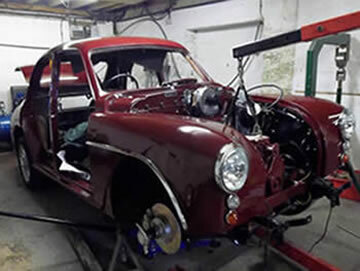 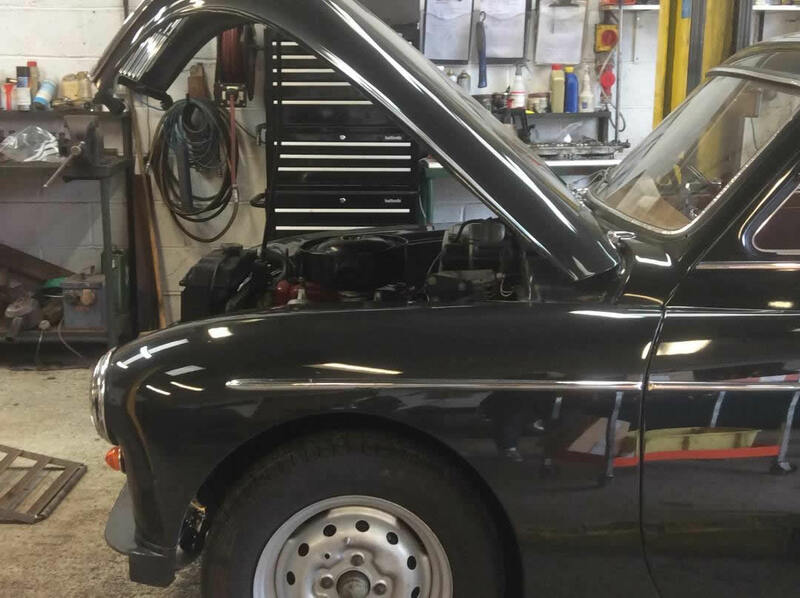 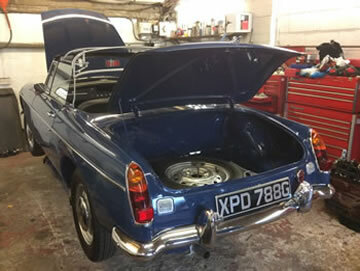 Workshops very busy with MG Midget body work, MG TF mechanical work, MGB Roadster engine work and various interior upgrades etc, MG TA engine work. 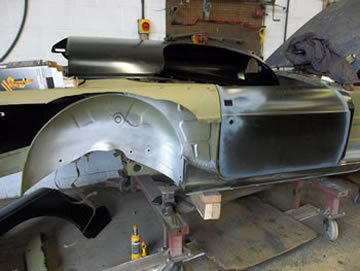 So many great cars to work on as well as the finishing of the Magnette, the MGB GT, work on a MG RV8, and start of the Land Rover re-build. 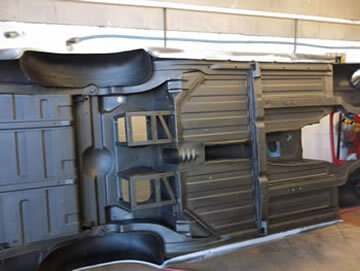 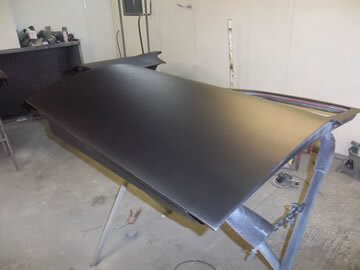 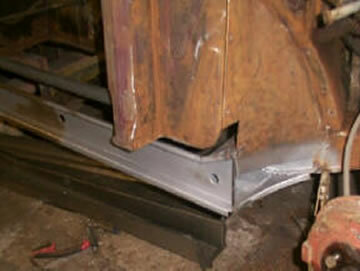 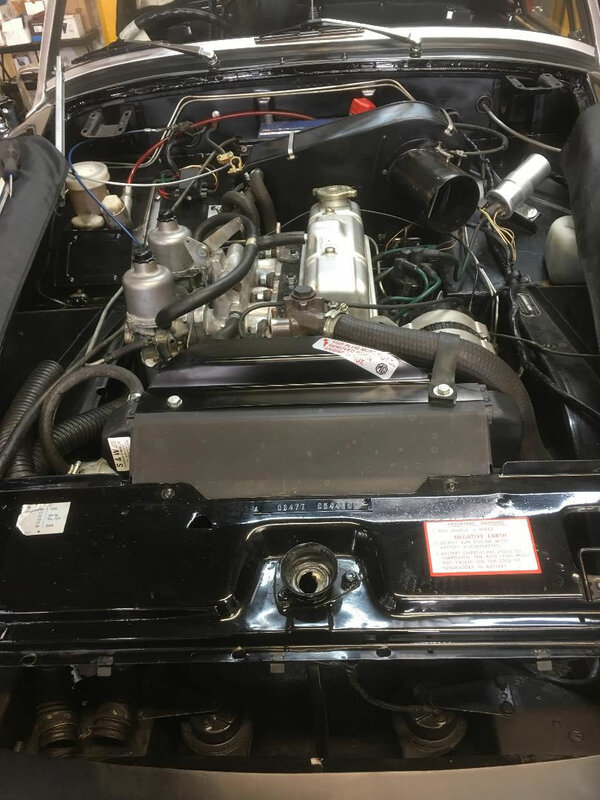 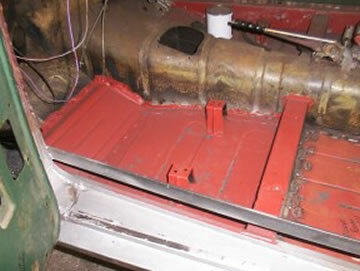 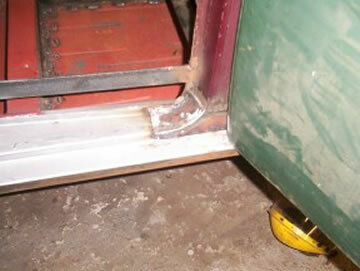 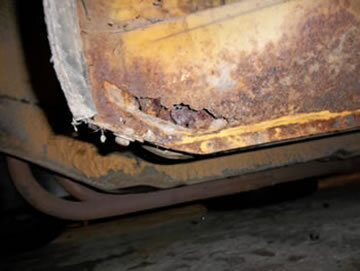 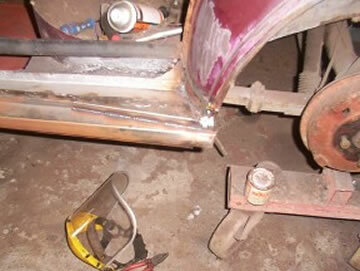 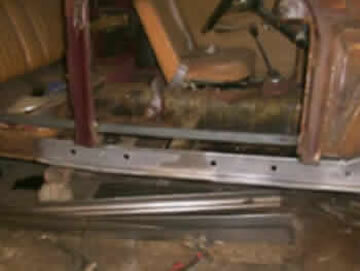 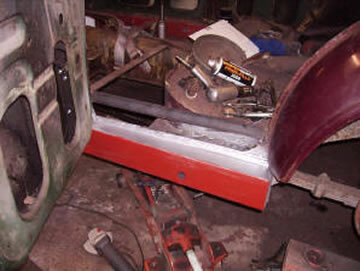 Below are some pictures that show some of the vehicles being worked on. 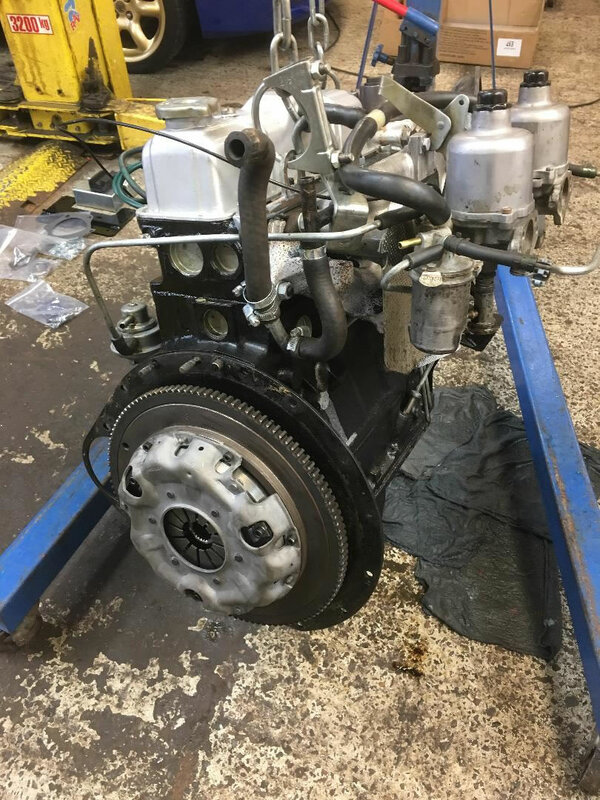 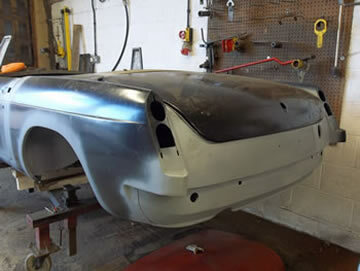 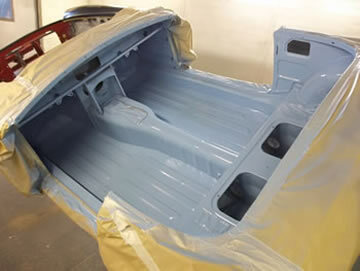 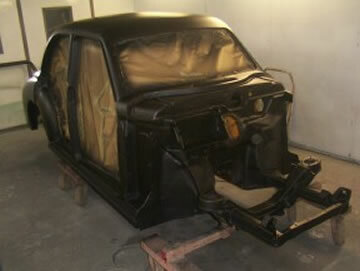 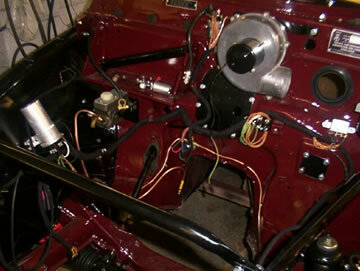 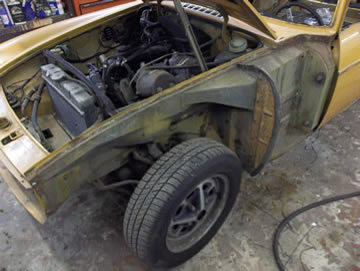 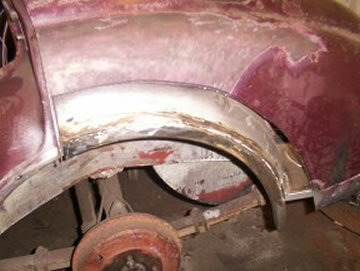 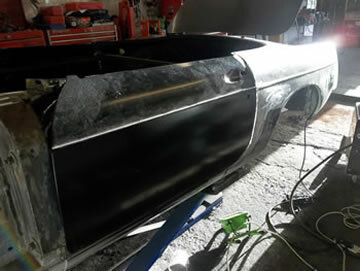 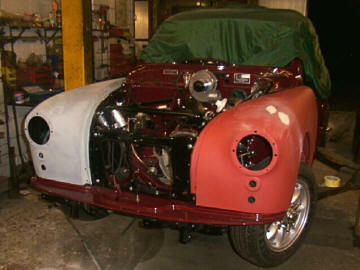 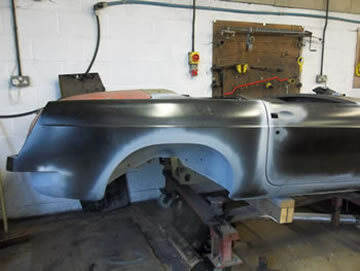 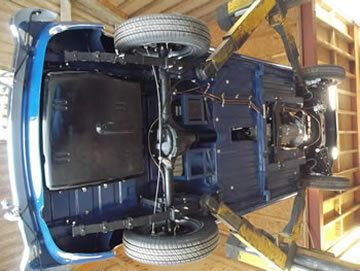 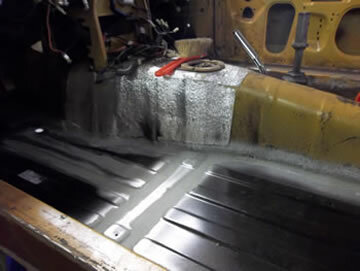 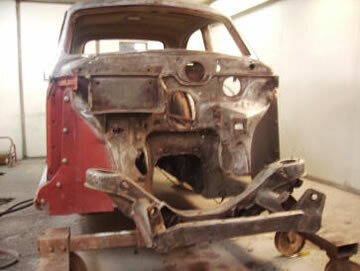 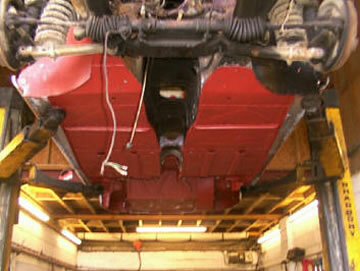 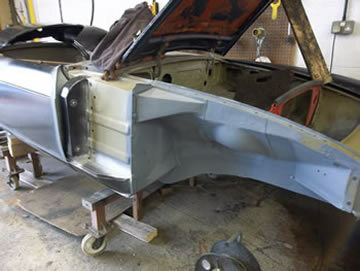 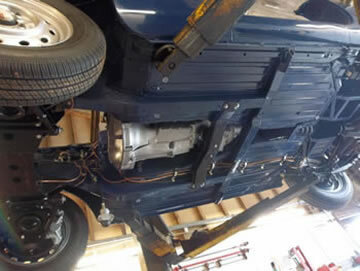 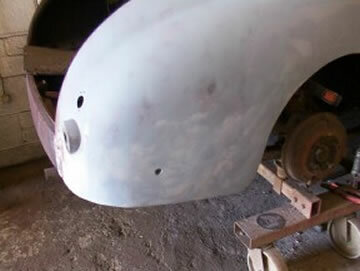 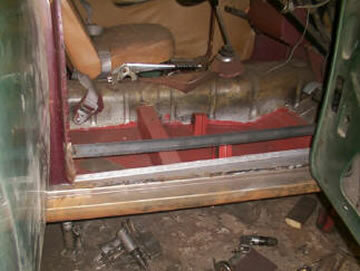 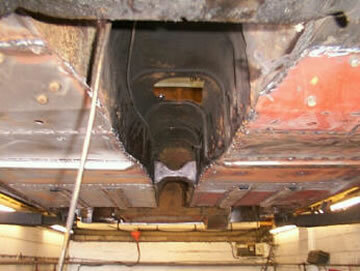 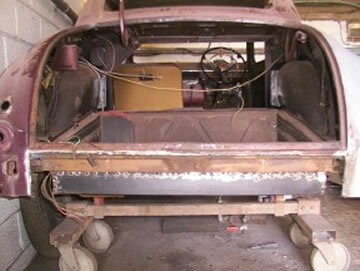 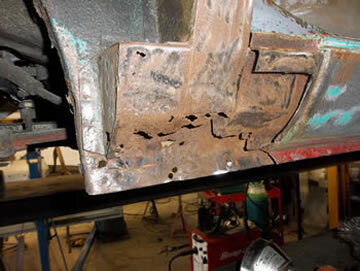 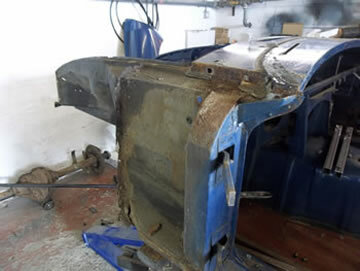 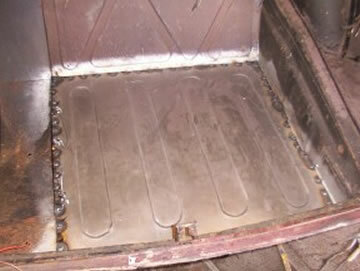 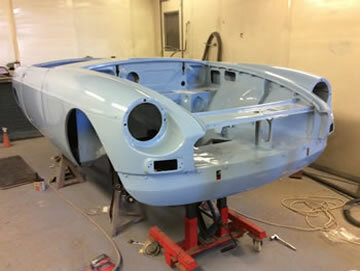 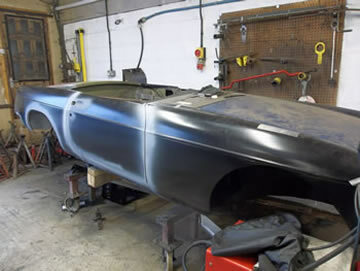 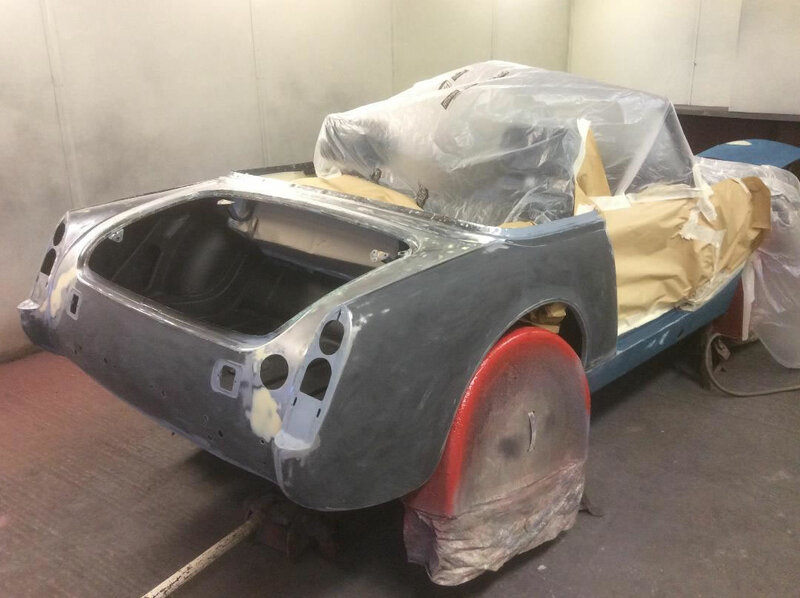 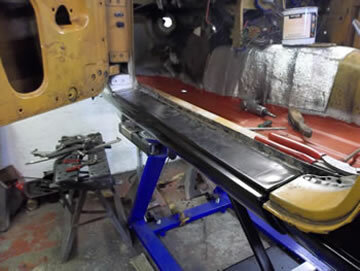 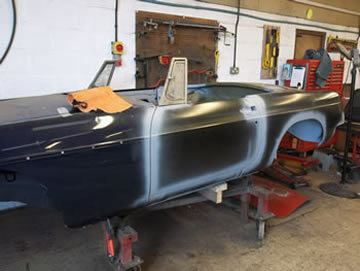 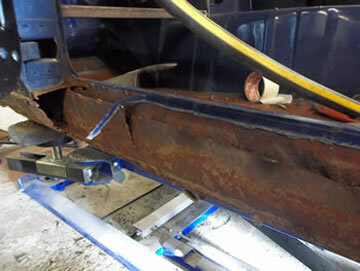 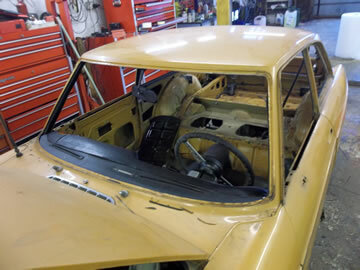 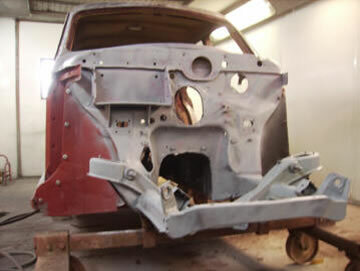 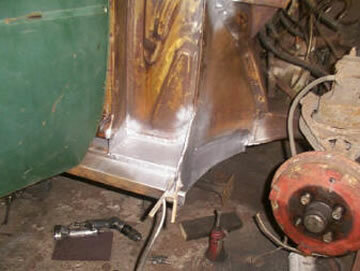 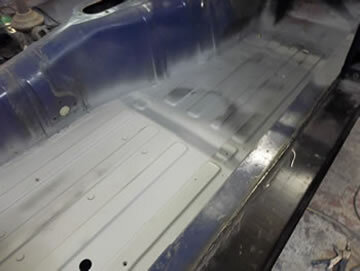 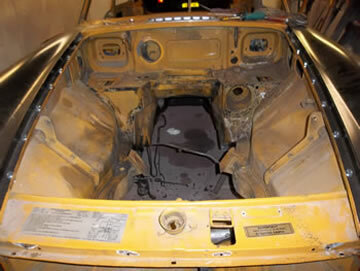 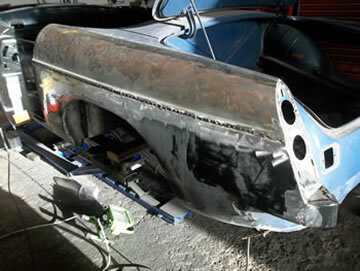 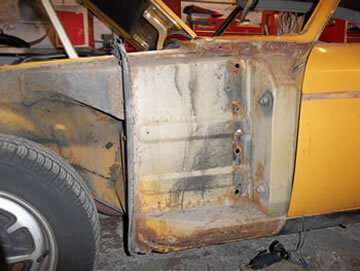 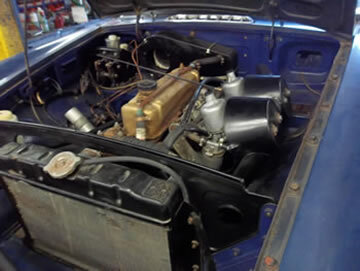 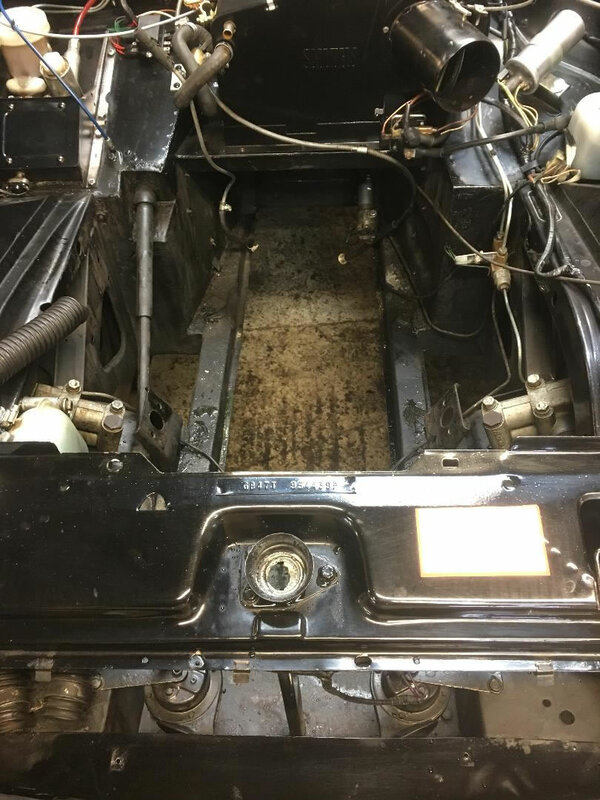 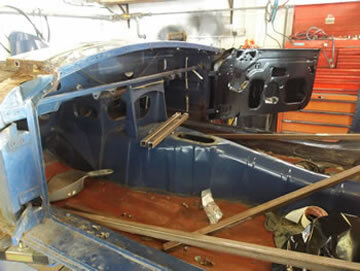 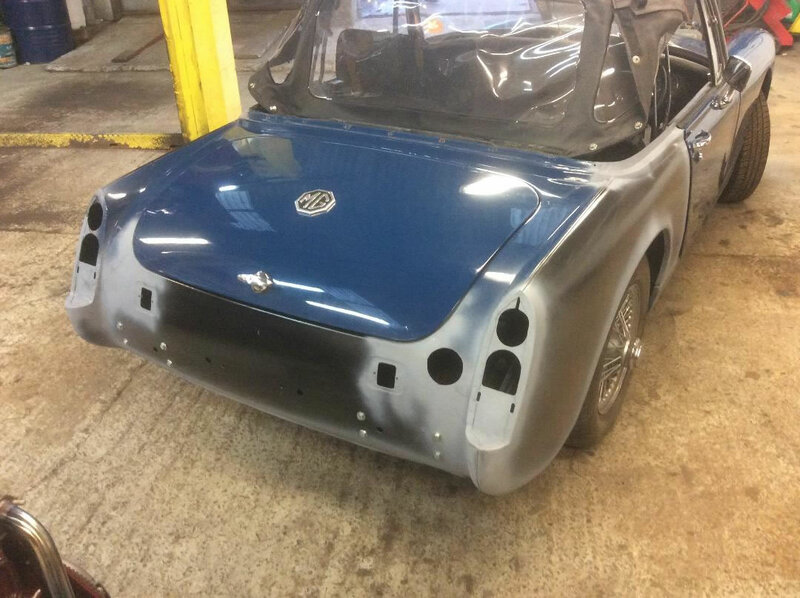 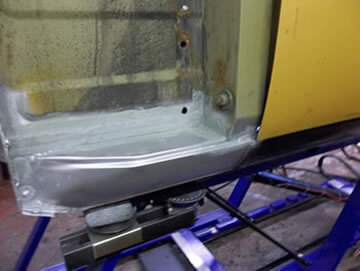 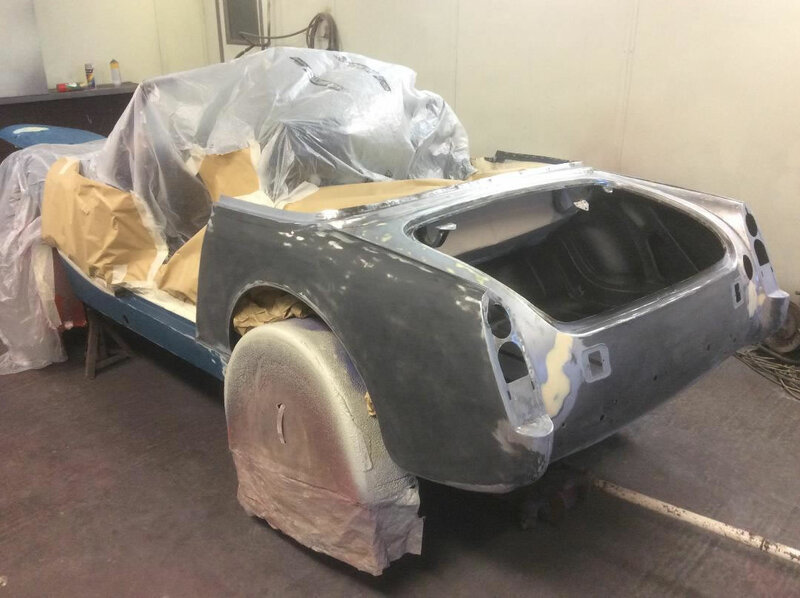 We are restoring a customers 1969 MGB Roadster and here you can see some of the progress/stages. 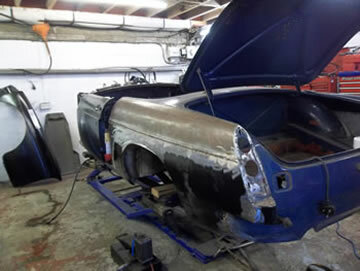 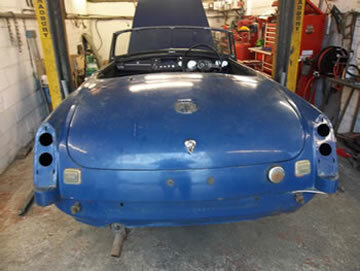 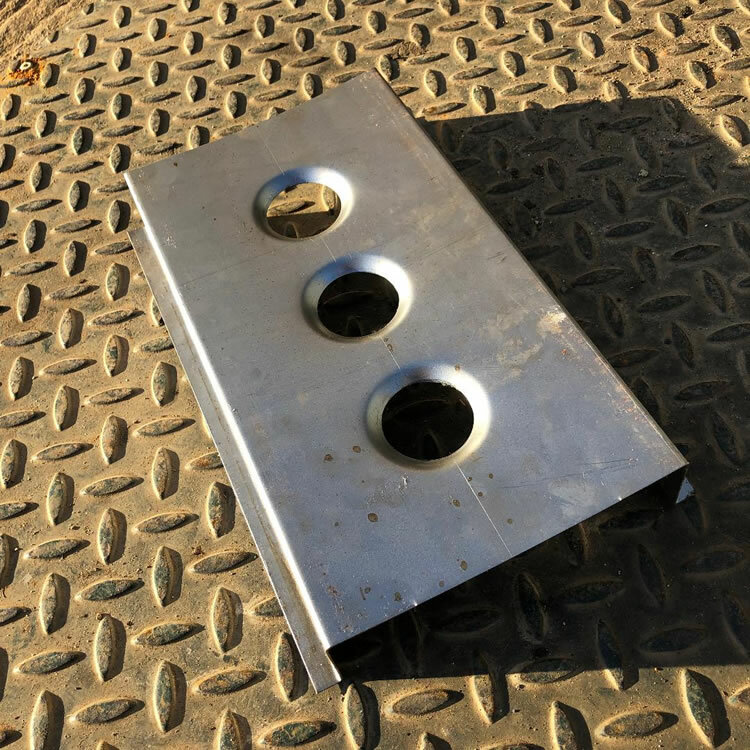 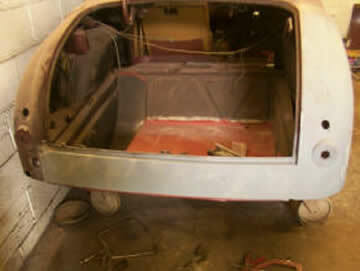 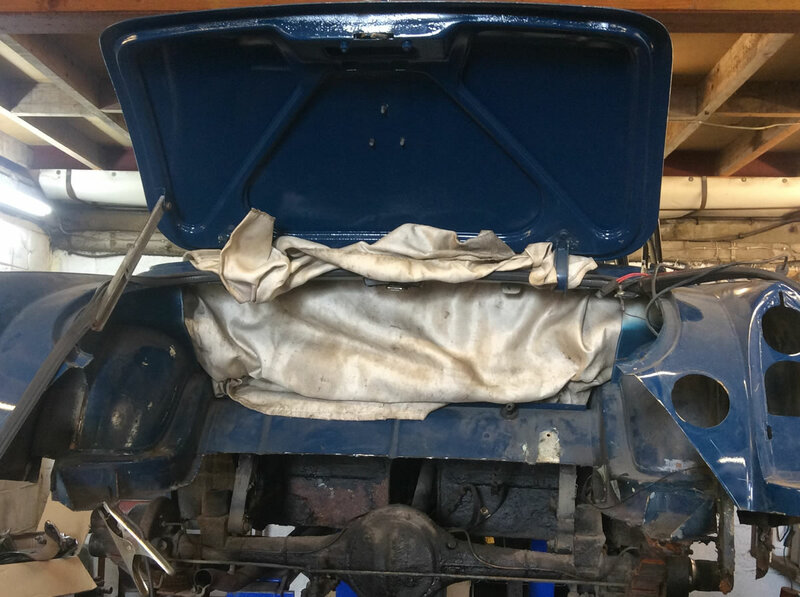 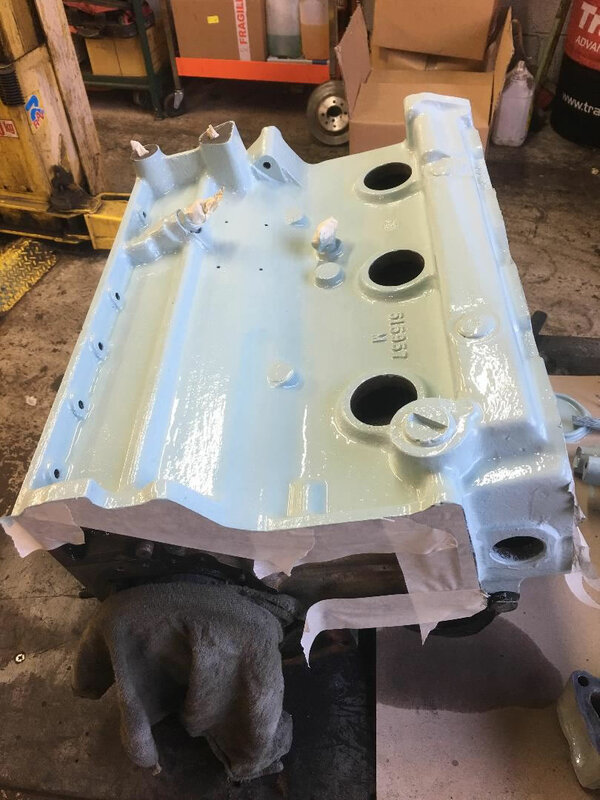 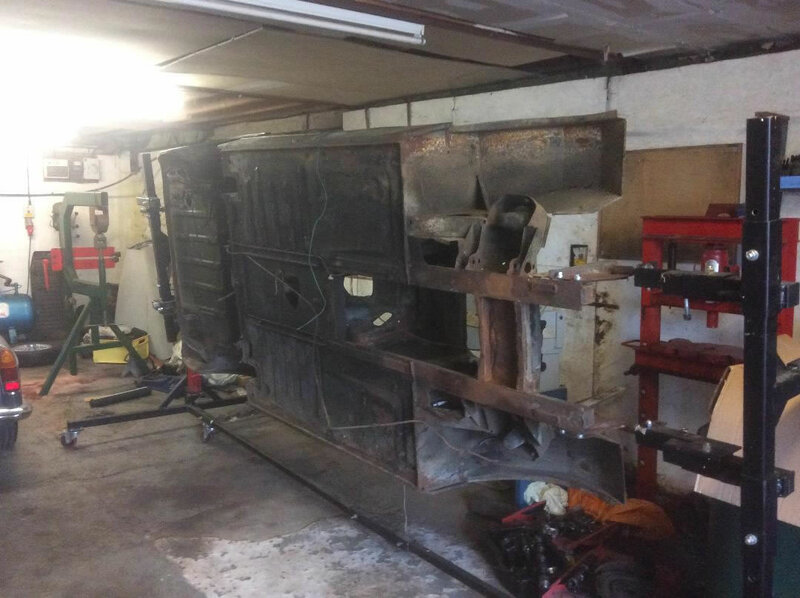 We are now getting on with restoring a 1963 Iris Blue pull door handle Roadster, we will be posting pictures as we progress. 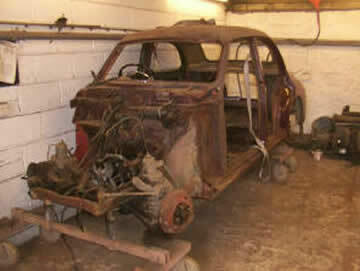 This this car has now sold. 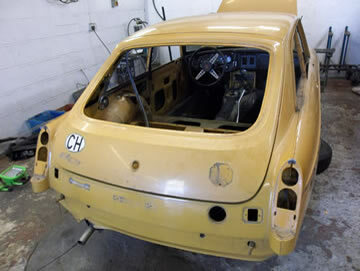 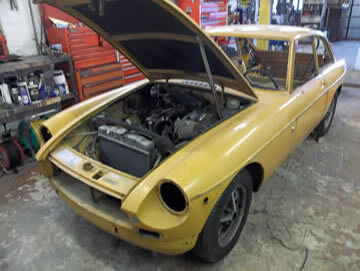 We now have in from Switzerland a 1972 MGB GT for a complete restoration. 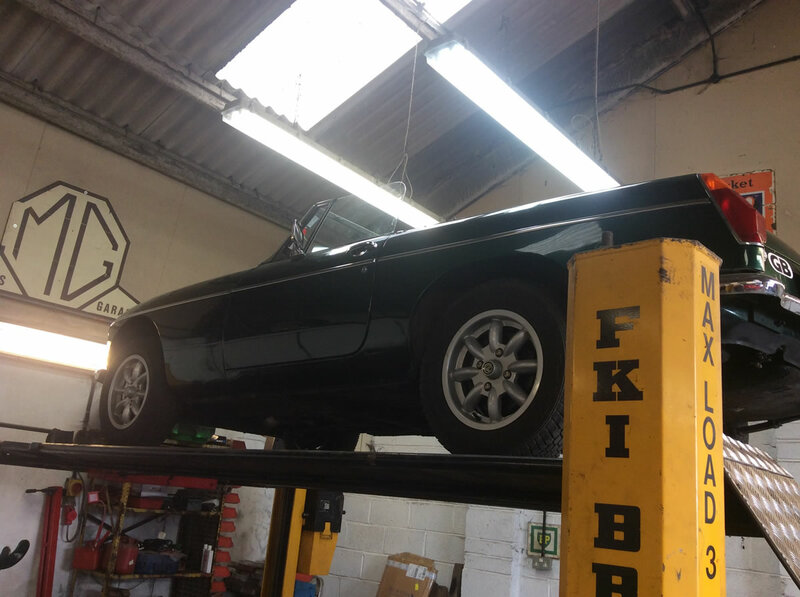 The owner had the car shipped over and then paid us a visit shortly afterwards to discuss the work he would like carried out. 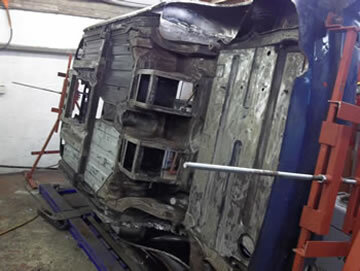 He wants the car back to its original condition and as you can see we have started to strip it down ready for the work to be carried out. 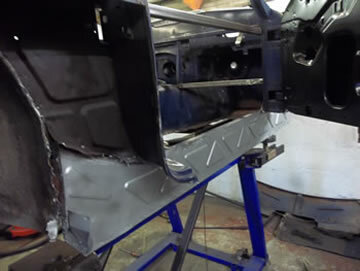 You can watch the progress here. 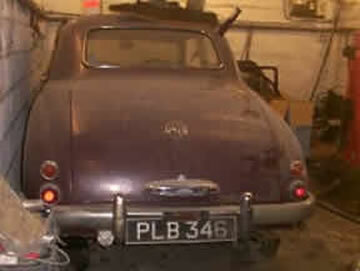 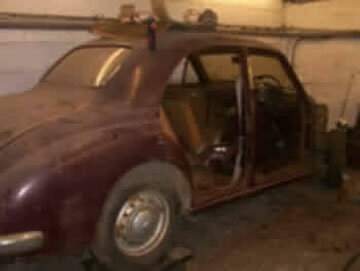 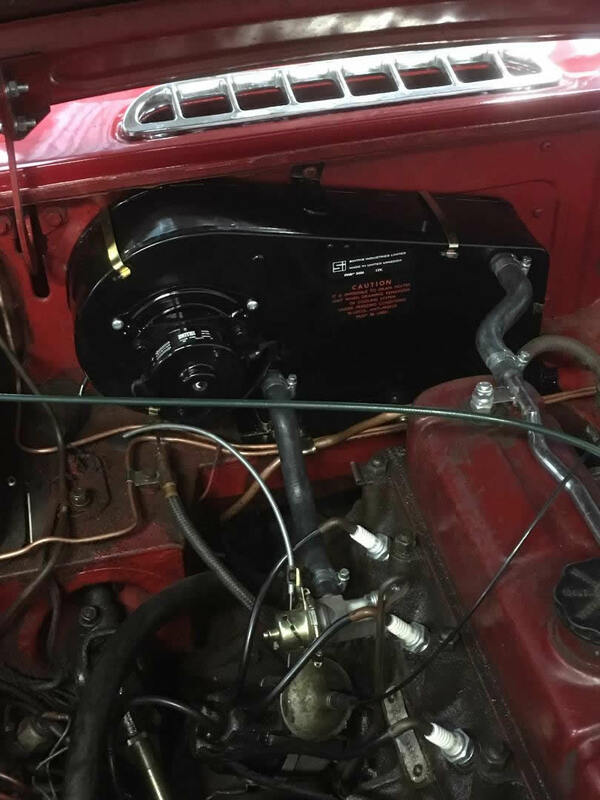 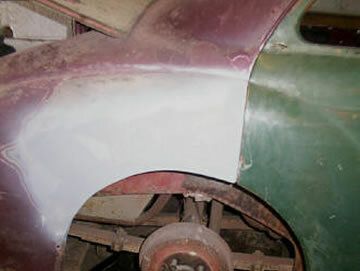 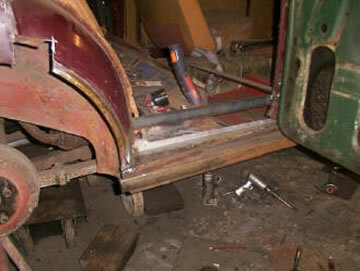 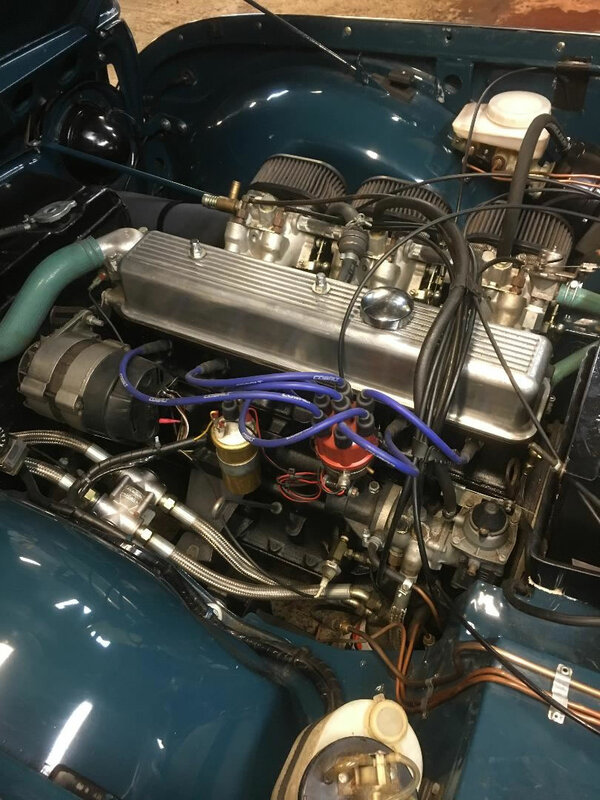 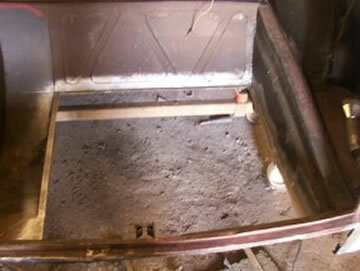 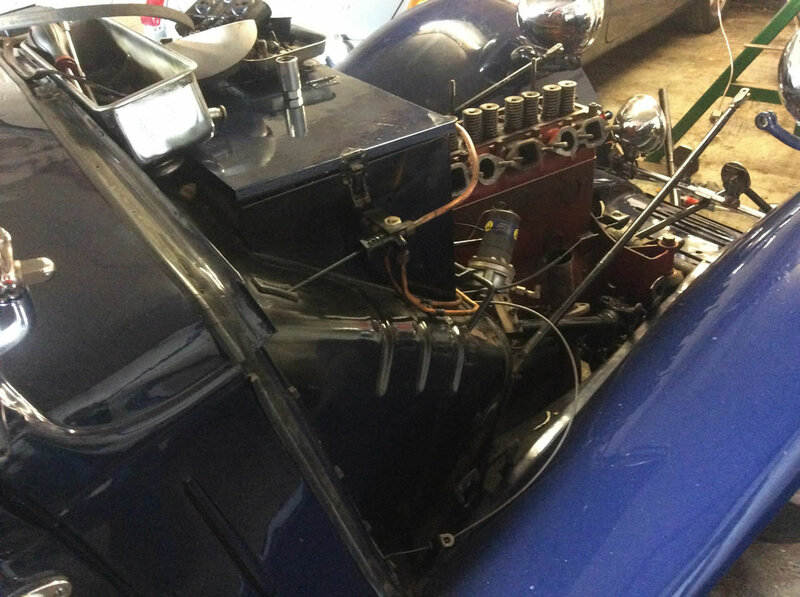 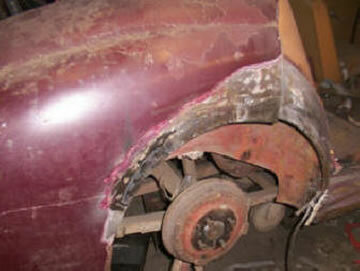 We have now started to restore a 1954 MG ZA, it needs a full restoration but will be a great project for 2015, we will update the progress with pictures etc as, and when, we can.